So, I sat down to writing this article, and drew a blank! What is it that people have never read before and yet will instantly relate to? And, I realize this is exactly the problem, which many budding entrepreneurs face. Many students want to launch their own start-ups, but are clueless about that new, innovative idea which will make their start-up tick. We scratch our heads, and try to take cue from the pre- existing models, but forget (or maybe are too scared!) to think OUT OF THE BOX. So what are the 5 most important things which successful entrepreneurs have done to ensure that their idea is the BIG earner? Abstain from cut-copy-paste : Human tendency is such, that we love to follow others blindly. If the work is easily served on a platter, no one wishes to toil hard for it. But nothing works better than originality. That “new” factor is sure to shine! Often this factor is a minor tweak on existing blueprint, but it warrants originality creativity. Don’t shy away from advice : Your idea may have everything that you want, but before raising the stakes on it, make sure to consult your seniors. Accept the fact that people, who’ve already treaded on the same path before you, will have more experience and can guide you better! Modify and renovate : So, you have that great idea, which you think will bring you the bucks, but it is always necessary to change and reinvent according to the time and place. Obstinacy more often than not proves detrimental to one’s success. There are a lot of bad reasons to start a company. But there’s only one good, legitimate reason, and that is, to change the world. These are just a few bullets for you to ponder; no one’s stopping you to add your own! So follow your heart and take the plunge! An exchange with Siddharth Jain, the man behind Hoodoo. • What is the startup about? What does it deal with? Hoodoo is a virtual personal chat assistant where any wish of a user can be made true- if it’s legal. Real conversations and friendships are dwindling with people immersed in their phones all the time. Today, there are too many apps and the clutter in this area is making lives very difficult for users. We wish to we wish to overcome this barrier by bringing all the functionalities of these apps under one roof along with exceptional customer service to produce a magical experience that takes away the shopping hassles and allows one to spend more time on things that do matter more to them. .• What according to you is the USP of your startup? Why do you think people should avail the services provided by your startup? We provide end-to-end facility for any service that they wish to avail. This reduces the hassle that the user has to face and will be able to save money, time and energy. At the convenience of a message, we provide the user with the convenience of getting rid of all the worries. From expert advice on shopping matters to finding and delivering hard to procure items that the customers had been looking for, we do it all just for our customers utmost convenience. • What was the inspiration behind launching this startup? A few years ago, I had told my dad “Dad I think I want to start a helpline, similar to justdial. But here, rather than only the phone numbers, we should be able to create a more personalized environment. No-one knows everything. But almost everything that is wanted, is available. This supply-demand gap has still not been rightly filled”. My dad blatantly said, “its too complicated. leave it. “ After this summer, I realized more and more, the reason for such a thing’s existence. And now here I am, working on setting up a framework for the same. • What do you want to say to budding entrepreneurs who are still shying away from following this unconventional path? To all the budding entrepreneurs, I would like to tell that it takes courage to do what you wish to do than do what are told to do. But when you see the impact you are making in people’s lives, you won’t ever leave this path. Money, I’m not sure if everyone can get (most of you would if you are passionate about your work). But the happiness and excitement will never reduce. The adrenaline rush will be there. • How do you plan to /did you pitch your idea and convince the VCs when you are still attending college? Seniors are an important part of the network to get in touch with interested investors. We have just begun the process and it is a very extensive process and requires a lot of time. I suggest you work as hard on your idea/product as possible before approaching VCs. The VCs shouldn’t come into picture unless it becomes absolutely necessary. Money does give you a chance to do a lot more. But it doesn’t do the work. Remember that. • What are the challenges that you’re facing? Challenges. They are almost the only thing I’m facing. But these challenges when successfully surpassed lead to a lot of delighted customers. Right from apt solutions for customer issues to thinking about a specific feature in the app to the size of the icon being made, everything is very critical at this juncture. Every small cog in the machine when perfectly oiled leads to a smooth operations and as in charge of overseeing the operations I have the responsibility of creating seamless operations at every stage. • What motivates you to give up the ‘safe’ path of taking up a job and instead start off from scratch? When I see a Samsung or a Consult job, very few of these let me make a direct impact in the way people live; in the way things work in this world. But when I am working on Hoodoo, I see how I can directly save time for my customers, how I can bring smiles to their faces & this satisfaction is what keeps me going. • Where do you see your venture ten years from now? 10 years down the lane, I see Hoodoo as a household name. A name which anyone can connect to. If you can’t find something, just Hoodoo it. If you don’t have the time to do/get something, just Hoodoo it. Whatever you want, just Hoodoo it. • What role has the college and city played in assisting and providing you an environment for setting up your venture? 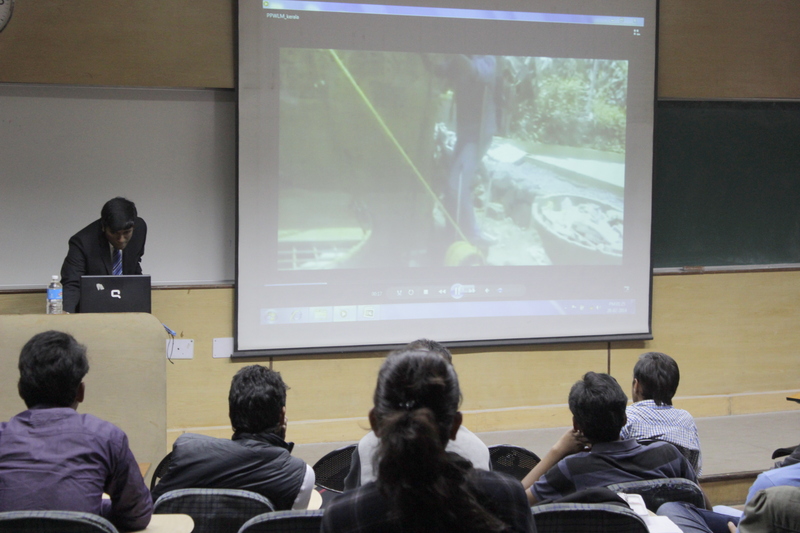 IIT Delhi has given me a very conducive environment to develop my own ideas and implement them. It has given me a platform where I learnt about operations more than I had ever learnt before. Staying in Delhi has been very critical for me to understand the audience. Since this is a startup focused more on the urban crowd, this exposure turned out to be very fruitful. • What other activities in college do you think would encourage more people to start with a venture of their own? • How do you network with other people outside the campus? This has been difficult for me and I am doing this mainly through mutual friends. • What is that one thing in your idea/venture that you think is different and is going to tick with people? Our approach to customer service is more like a friend than a usual customer-seller relationship. This friendly environment when combined with expert advice and a knack for getting hard to find items creates an atmosphere so addictive that the customers start looking for challenges for us even if there aren’t any just for the joy of using this service. Start-up India, Stand up India. Over the last decade, entrepreneurship in India has grown as a peculiar phenomenon – one that the country tried it’s best to bring to the forefront, yet one that the majority conveniently chose to shy away from, courtesy the inherent riskiness in the field. This Independence Day though, the country formally acknowledged the need to give a strong boost to this sector, with PM Modi announcing the ’Start-up India, Stand up India’ campaign to promote bank financing for start-ups and offer incentives to boost entrepreneurship and job creation. It serves well then, to understand what a country like ours demands from these budding innovators. IIT Delhi recently hosted an event ‘Startup to Unicorn’ wherein the top heads of Frankly.me, Zimply.in and u2opia moblie shared details of their journey ; from conception of ideas to struggle for recognition to eventual taste of sweet success. Organised in co-sponsorship with MatrixPartners, the private equity giant, the event let to some interesting insights. Ordinarily, we look for a problem in the world that needs to be solved, but a brutally honest point laid down in the event was that we often neither hate nor love the world enough to strive for making a difference in it – most importantly we must follow what matters to us. Solving a personal problem and enjoying thproughly the process matters the most. Business networking opportunities, the axiomatic next step once an idea is conceived, is provided most conveniently in our digital era through media platforms like YourStory. Top colleges in India, additionally, have separate sister-bodies that provide similar opportunities (for instance, eDC with IIT Delhi) through conferences, meetups, showcase events etc. . These entities play a crucial role in the educational setup of these institutions. The Entrepreneurship Development Cell, IIT Delhi for instance, has been successfully creating an easily accessible and exhaustive set of resources for the entrepreneurs within and outside the college. These include the students, budding professionals, mentors, angel investors and the venture capitalists. We strive to inculcate and enrich the entrepreneurial around IIT Delhi through various fun-filled and educating sessions such as Startup Showcases, competitions, eTalks and so on and so forth. Venture capitalists, they say, fund your passion, and not just your idea. Your willingness to learn, work tirelessly, and target specific sectors goes a long way in deciding your position in the final scheme of things. For instance, in recent times, there is a persistent debate over pure software-based vs pure hardware-based start-ups. It is imperative we all understand that neither of these can solve our problems (efficiently) single-handedly. In today’s world, you need to be in a sweet spot when it comes to choosing between these two extreme sectors of the market. Smartphones have been dubbed the ’steam engine’ of the modern age – it is a product that defines the ‘uprising of modern machines’. One should know that it signifies a blend of hardware and software which smartphone producers are constantly trying to perfect in their aim to find the coveted ’sweet spot’. The Viral Fever Media Labs recently came out with a benchmark TV series – ‘Pitchers’, which showcases four youngsters who quit their mundane jobs in search for startup glory. It’s unprecedented popularity gives interesting insights into what our country is moving towards. Is the youth of today becoming progressively courageous enough to risk giving up a dull-yet-secure run-on-the-mill job profile to follow a more adventurous, alluring and interesting career path? Or is it still happy to sit back and watch a few merry men take the metaphoric plunge? The government sure is starting to see the need and value of the former, and the scales are starting to tilt. 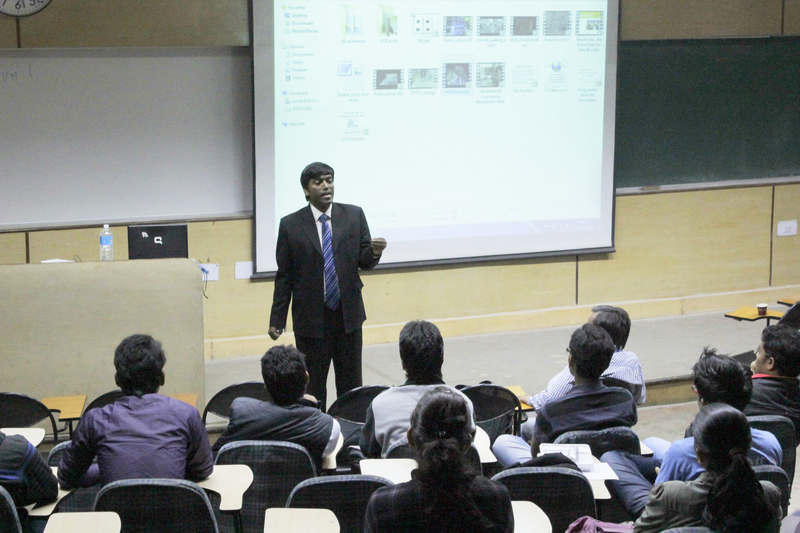 Seize your dream with Deferred Placement Program, IIT Delhi! Are you passionate about your own startup idea but also worried you might just fail? Forsaking campus placements in a bid to make something of your own work can be quite a risk, certainly. IIT Delhi could now help you take that risk with its all new Deferred Placement Program (DPP). If you are a pre-final year student interested in pursuing your own startup idea, you can now defer your placement by two years with the help of this program. So if your startup idea doesn’t materialise satisfactorily in two years, you have an option of sitting back for placements! The program is open for pre-final year B.Tech, Dual degree or M.Tech students from all departments. Applications would be analysed by a selection panel constituting of experts in industry, venture capitalists and angel investors. Students are expected to present business models and technology specifics of their startup idea for selection. Selected applications would then be monitored over a period of two years for assessment of progress. In the event of a failure after two years, students get to exercise their fall back option of campus placements. Are you apprehensive that you won’t get any support to build on your startup idea? With Technology Business Incubation Unit (TBIU) of IIT Delhi, the startups selected by DPP would be provided with the infrastructural facilities for product development, software testing, prototyping and training. TBIU would also help the startups to get in touch with interested venture capitalists for financial assistance. So the next time you have a startup idea in mind, you wouldn’t have to calculate the risks of venturing into it. Build on your idea, team up with other interested people and develop a business model. All DPP wants is that you have a clearly laid out plan of implementation for your startup. Once selected, DPP would be your cushion to fall back on, so you can take that leap without fear. Are you game for a deferred placement this year? Mail the concept note (about a page) of the startup plan to deansa@admin.iitd.ac.in with the subject “Application for Deferred Placement Policy”. Applications close on February 12, 2015. E-travel- A business idea that changed the world of tourism. Going places, they say, wakes up the your inner self from a deep slumber to enjoy the gifts of your surroundings. Over the years, people have developed a disposition to traveling, be it within their native country or around the world. It was necessary, therefore, that some bold minds took the first step towards easing the cumbersome processes involved in traveling. And thus, were born the primitive versions of the present-day travel sites and blogs. Planning a round-the-country trip with family? Or a road trip in a foreign country with friends (Yeah! Zindagi Na Milegi Dobara style!)? In fact, even if you intend on stepping a foot outside your city, you are compelled to first hook up with a travel site. From handling your travel expenses to letting you in on what to do in the mystic foreign land, from finding hotels that suit your budget to booking rooms in them, these sites are surely perfectly packaged deals! Almost all travel sites today are based on nothing more than PR (Public Relations). It is all a matter of establishing and maintaining relations with clients. For instance, when a website allows us to make hotel reservations, it means that the site has an understanding with the hotel as per which the site advertises the hotel and the latter pays a certain commission to the former for doing so. Now it isn’t rocket science to decipher what’s going on, but what actually counts is that to possess the skill of independently implementing your fundamental idea as per the whims of the world. To be a successful entrepreneur, you need to adapt to the fancies of the consumers. As a very small example, we see websites like peek.com and zaptravel.com flooded with deals on romantic getaways during the month of February. Thus, they tend to cater to the changing needs the masses. Travel sites, thus present an interesting case of an unusually simple idea being built upon in innumerable witty and profitable manners. At the root level, they teach us how to “chance upon” path-breaking ideas. Moreover, exemplifying the importance of learning and developing various skills, the entire sector of travel websites can easily be regarded as the Holy Grail of business startups. 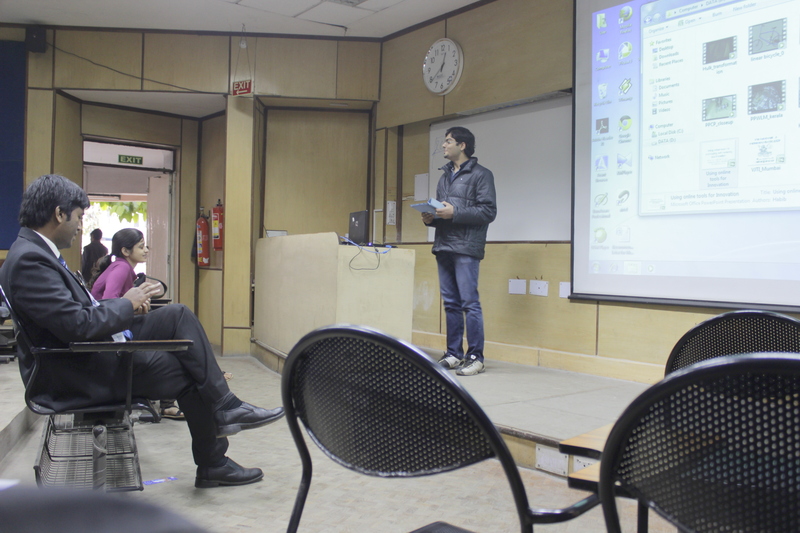 IIT Delhi saw its first ever Startup weekend from Sept 19 to 21 organized by eDC IIT Delhi. Sounds like just another series of lectures where successful people come and exude how bloody successful they are, does it? Well, it isn’t a tad like that. They have a simple principle- No talk, All action. IIT Delhi had a glimpse of all that action as hundreds of budding entrepreneurs came together for this 3 day jam packed experience. What exactly is Startup Weekend? It’s an organization based in Seattle, Washington that holds 3 day long experiences in countries across the world to help individuals turn their ideas into startups. Developers, designers, marketers, product managers and startup enthusiasts come together on this unique platform to share ideas, form teams and build prototypes. Just 54 hours, and your startup’s ready! eDC IIT Delhi was initially skeptical of public participation in this relatively new and unheard domain. But within 10 days of opening online registrations, they had registered 160 individuals with huge participation from all parts of Delhi. From first year undergrads at IIT Delhi to enthusiastic professionals, all came in to try a shot at ‘startup in a jiffy’. With the phenomenal response and a diverse set of mentors already on board to help the teams in developing their MVPs, the United States mission to UNESCO’s consent towards lending sponsorship support to the event was clearly an icing on the cake. It all started Friday, Sept 19. All participants came together to throw in their individual ideas. This was followed by a hunt for teammates with the same level of wackiness and ‘enthu’ in their ideas. Teams were set, ideas were established. It was time to set the ball rolling. Construction work followed on Saturday. Teams were required to build a Minimum Viable Product (MVP) out of their startup idea. The atmosphere grew more intense with competition to win the coveted prizes. Teams could be seen wildly brainstorming and extracting all the cues from mentors to arrive at a functional prototype. As startup weekend reached its finale on Sunday, teams geared up to present their prototypes to a panel of judges. After rounds of presentations and question-answers, the winning teams were announced. The first place was secured by 3D-Mine, a platform that employs state of the art 3D printing technology for customizable fabrication. TRAWITH, an online social travel experience sharing website, bagged the second place. Dogether, a mobile social networking app based on common interests and wishlists, won the third place. Apart from 1 month free coworking at Investopad and structured mentoring from Indiapreneur for all winners, the first position holders won a direct entry to the Pan Asia Startup Competition to be organized by eDC IIT Delhi in February next year. The experience was in fact a win-win for all, where all participants went home with a sense of pride in their creation. As PM Modi rightly emphasizes on ‘Make in India’, we certainly need to have more experiences like these that instill a sense of entrepreneurship in Young India. But more importantly, we as Young India need to get out of our 12 hour slumbers and game(s) of thrones on our Weekends, and just Start Up. Deferred placement program, boon amidst the gloom? Founding a start-up or a business has not only become a value addition to the nation’s economy but given the opportunities in the current juncture of world, it has become a second option for all the budding entrepreneurs studying across the nation. This option, though is lucrative but for the students, presents with a dicey road bifurcating into Placements Opportunities and Start-up Development and often half of the students tend to go about the former. The problem has developed in such a grave manner that the opportunities presented by the entrepreneurial network remain unsatisfied and unexploited both in terms of opportunities tapped and nation’s assets boost. Tapping the very issue, amidst the eeyorish gloom in the entrepreneurial circuit of IIT Delhi, comes the respite by the approval of deferred placement program by the Student Affairs Council and the administrative blocks at IIT Delhi. The program allowing budding entrepreneurs to pursue their dreams and to defer their placements in the final year to pursue their venture, which if fails in the next two years would present them with an opportunity to come back and sit for placements. The program is proposed on the belief that such a program would mitigate the risk involved with failure and would give student an impetus to pursue entrepreneurship. The program is open to each student irrespective to their degree program and proposes the students willing to pursue a start-up venture to apply for the deferred placement in the second semester of their pre-final year. The applicants then will be processed and critically scrutinized by a selection panel comprised of members from both within and outside IIT Delhi and if selected the students then will be allowed to sit for placements after two years from the time of processing of their application, if in any unfortunate futile state of their start-up. Sounds fascinating, right? Even my brain is now scintillating with ideas about the varied fields. But as all the major saying goes, with great allowances and relaxations comes great deal of loop holes for corruption, and to keep a tap on the malpractices from the students, the selection panel will keep a regular watch on the progress of the start-up venture and its functioning. On a concluding note we would like to embark upon the vision of creating an entrepreneurial India, and a hope that this program gets launched across the institutes encompassing the whole nation, in the wake of respite for the students with great ideas and an entrepreneurial stint. 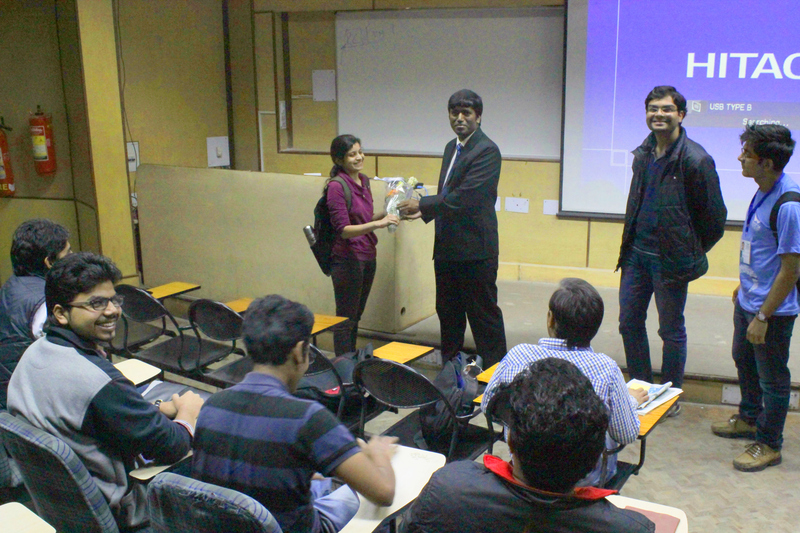 The 28th of February, 2014 saw T-Labs visit IIT Delhi, to conduct a workshop on ‘How To Deliver a Killer Pitch’ as part of E-Summit ’14, organized by eDC IIT Delhi. The presenter, Mr. Abhimanyu Godara, who had also agreed to be a part of the judging panel for the Grand Finale of Vishishth ’14 (Technical Sector), held later on in the day. 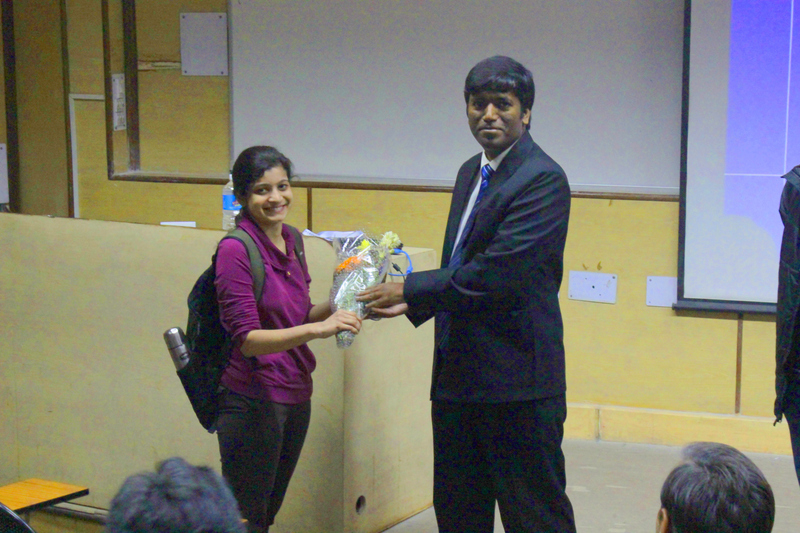 So, many glances were exchanged among the participants when, after his presentation he inquired about which of the participants thought that their prepared pitch needed to be changed based on the rules that he had talked about – the same people who were going to present their ‘imperfect’ pitch to him during the Vishishth Grand Finale. Mr. Godara hit the nail on the head when he started with opining that a pitch in itself is not enough to get a product across to the audience. One needs to believe in what one is doing. A pitch is just a final polishing that one could give to that idea, but it should never be an integral part of the plan of promoting that idea. It is not a substitute to the business, small-talking people about the product independently will produce miniscule results since the audience isn’t all that stupid. A YouTube demonstration of an astutely delivered pitch of a startup called ‘DoorDash’ evoked a wide range of comments of appreciation and wonder from the participants – “He jumped right to the content”, ”He didn’t have to look at the slide while presenting!”, ”He used a lot of numbers in his presentation”, “It’s almost as if he was talking to the audience, one-to-one”, “He was able to connect with the consumer”. After this, one suddenly realizes that the workshop was not going to contain some hidden golden secret, previously locked away in the Pandora’s Box of B-Plan presentation buried deep beneath the ground, it would simply highlight the obvious, the not-so-ostensible obvious, the obvious that avoided people’s view like a diaphanous curtain separating the worlds of surety and obscurity. To enumerate some of the ‘golden’ obvious points discussed, I would like to start with the most important – The beauty of the presentation is in the telling of a story, a story centred around the idea of the product, which is able to emotionally connect with the one who is listening to it. ‘Last night, I went to the supermarket, and realized……. Did you face the same problem too?’ Make a study of the range of people who are suffering from a problem similar to what you faced. The problem should be of reasonable magnitude and prevalent. One need not include very accurately mention data at this point, but presentation of this scale is very important – ‘Ah yes! I found out that x number of people in my locality face the same problem!’. Short, intelligent and crisp – the buzzwords that need to be kept in mind which preparing a pitch. It is the first thirty seconds that will make or break the listener’s attention towards your product. Keep It Simple. Now, back to our ‘story’. A person cannot relate very well to raw facts and figures presented. One needs to have some kind of anchor to ‘fix’ the data to the brain, and you are to provide that anchor. Tell people how prevalent the problem is, tell them how you are going to solve it, because solving that problem is the prime motivation of your very existence, in the current scenario. Tell them about the competition that might be existing in the target area, and of ways of how you are going to ‘bluntly put’ consummately obliterate that competition, once you get your product in the market. It is important to do proper research in this area, and come up with exact facts and figures as regards the competition and consumer demand pattern. Back it up with logic – connect with the audience. Again, come up with a story which has all the details embedded. The listener may get ‘jumpy’ at a certain moment, getting apprehensive about the fact that you may be small-talking him into extorting money out of him for your product. That is where Consumer Demand studies come in. Show the audience consumer testimonials, customer response and the number of customers who are interested in your product. Ample amount of field work is required in this area, and believe me, it’ll pay off, heavily. It serves to remove the last shades of doubt in anyone’s mind about how your product is going to impact the market. Having convinced everyone, now it is time to present the financial requirements of your plan – How much money you will need to implement your idea, what do you do with the money, how clear you have your milestones mapped, and how sound your product roadmap is. And lastly but most importantly, Back Your Team! They are the people who are going to work out an alternative in case of a disaster, they are the ones who are going to keep the very existence of the idea alive. Keep the motivation high within your team, so that each one exudes confidence when it comes to handling of the job. They are going to make it all happen, at the end of the day – the heart and soul of the idea and product. Hierarchy is important too, not everyone is good at all aspects of running a company, so each one needs to have a skill set which complements that of the other. Indeed a lot of practice is required in the delivery of a pitch, to make a razor-sharp job of it at the end of the day. Let people know how to get in touch with you, present your Angelist Profile too (it adds a professional touch to your presentation) and deliver that final ‘Punch Line’ to slam the audience with that one final blow of reason which shall compel them to act in a way you want them to. Wait, was all this a process of hypnotizing the audience? Is hypnosis exactly done in a way an Elevator Pitch is delivered? I shall leave this question hanging, to poke the reader’s curiosity even more. Perhaps its biggest event in the last two days, the Case Study Competition held by the Entrepreneurship Development Cell, IIT Delhi held on the 28th of February, 2014, saw gruelling strategies, excessive planning and a cut-throat competition to find out the best. A wet, rainy day brought forth the brightest business minds, who came together and formulated grand ideas of success. This competition was held in sponsorship with CIMA. For the ignorant ones, CIMA is perhaps the biggest name when it comes to case study competitions and consulting problems, its very own competition GBC (Global Business Challenge) considered to be the Holy Grail! For this event, the participants were given the case of Mackintosh Grant and were asked to optimise on financial solutions, supply-chain management and to find solutions to overspending. They had to formulate this strategy for the period of 2013 – 2020. The competition kicked off with the team Phoenix, both being students of DTU. They identified the main problem to be lack of flexibility, a rigid top-down structure and an orthodox board reluctant to change it. They proposed the incorporation of ERP (Enterprise resource planning) software solutions of forecast supply chain structuring. Other aspects also included supplier rationalisation and tier shaped flexible structuring. Team Omega from IIT-Delhi demonstrated how integrated supply chains reduce inventory cost and delivery time. They were in the favor of introducing web based systems to have better interaction with customers. To control the budget overflow, they included options like employ surveys, relocation of staff and incentives given to high performing staffs! Wayne Consults had given the marketing strategy to introduce E-commerce by setting up a website and setting up their own factory outlets. Customization of products and better data collection that helps in decreasing design costs were given importance. There was a special focus of this team towards Asia because of the growing markets here. The team Shoe Conundrum from SRCC wanted specific strategies for different areas and not a universal line of action. There was a lot of focus on giving buyers the “ultimate” shoe experience, greatly emphasising on each and every design part, expert advice, basic frame choice and assistance. Throughout the day teams gave excellent ideas like the 4P style of management, diversification of home markets and the phase approach. The competition was so tough that one of the judges had to admit that he would have come up with a different result each time he went through all the presentations. While the judges appreciating the attention to details and efficient planning, they also told participnts about the nitty critties and helped them with new techniques like cascading! This competition was finally won by Eklavya 2.0 comprising Ramanjot Kaur Kohli and Shantanu Singh. Second prize went to the Team Frantics who had introduced the innovative concept of “smart pricing”. The team comprised of Vaibhav Yadav and Sukrit Chadha. Last but not the least, the third prize went to the team of Shresth Garg and Dominique Xavier – The Shurtugals! 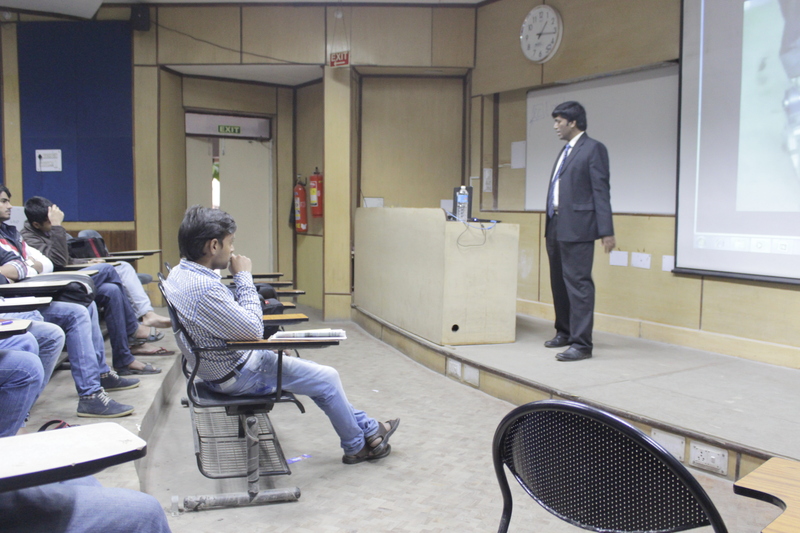 The Entrepreneurship Development Cell (eDC) – IIT Delhi organized the flagship lecture event “You Can Invent!” as part of E-Summit ’14 on Friday, February 28th. The Speaker for the event was the famous TedX speaker Praveen Vettiyattil, the President of Sharda Solutions, Coimbatore, and an M.S degree holder from USC. He has presented thrice on TedX, the last one being in TedX Sharjah, 2012. He acts as the advisor and consultant for the wind and solar plants in UAE and India, and on how to reduce energy costs. He also is the inventor of the pedal powered – special purpose machines, which include pedal powered centrifugal pump and water lifting machine. The aforementioned products, quite drastically offer a value for money deal with a cost cut-down of more than 90%. This presents the outlook of the speaker and his approach towards the things. “One should render the present so as to get a clearer and better future, with the inculcation of ideas and solutions of the problems around”, and as this is mentioned, he began with the lecture. The speaker in the next part talked about the ideas, and their origin. He put forth a 3-step approach towards stating to think of inventing, which talks about leading a normal life, and be receptive to and observant of problems, then looking up on whether anyone has tried to solve the problem. If not, just going ahead and solving it! One need not have a creative mind to think about the different issues that one faces, or might be facing, in the present and how they would resolve them to ensure a better and prospective future. For doing that, one has to have a vision and a curious approach towards the essentialities of the life and the things around. Talking about the problems associated with the Indian system, he presented the contrast in the way the top singers, actors, or even sports’ persons, and the engineers are perceived and attended, in such a vast cultural agglomerate as India. In India, it has always been the priority to have the politicians, actors, and people of no importance – to the earth and the ecology, remain in the limelight and no one even bats an eye on the innovators and the invention that might someday solve the major issues associated with the vast population. Leave apart media even the government is biased against the innovators, with the lowest research grant available, worldwide, for the faculties and innovators, in terms of subsidy and monetary grants. As the speaker moved towards the conclusion, he tried to emphasize the power of innovation and himself being a mechanical engineer, urged everyone to be proud of their field of study and being an engineer. For everything other than engineering could be established any day, but if engineering and crave for the innovation is lost, nothing could be established, very well, to the present state. And with the message coming “Crave and Crave more for curiosity, and never let die the urge to question, for these are the essentials for a thinker and an inventor”, the lecture was concluded.